I feel like we’ve been grilling up a storm this summer! And on days we can’t grill, I’ve been taking the grilling inside – like these delicious sliders. 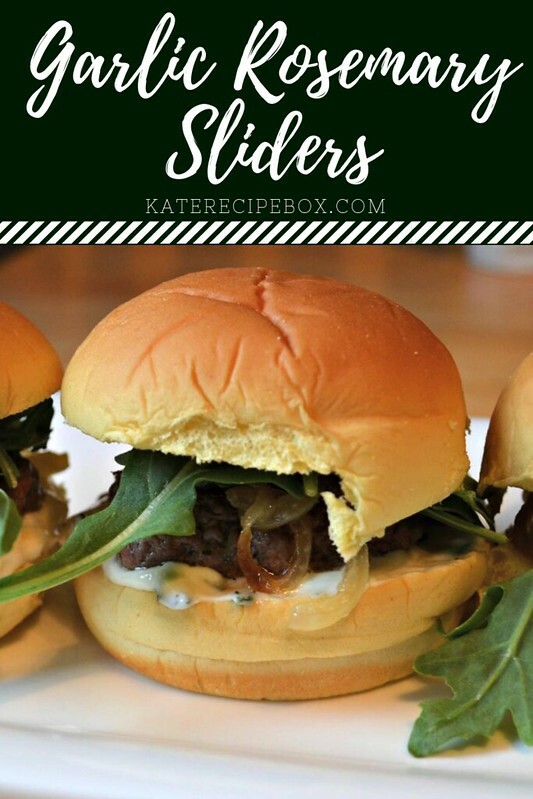 These are elegant little bites – fancied up with some arugula, caramelized onions, and garlic aioli. 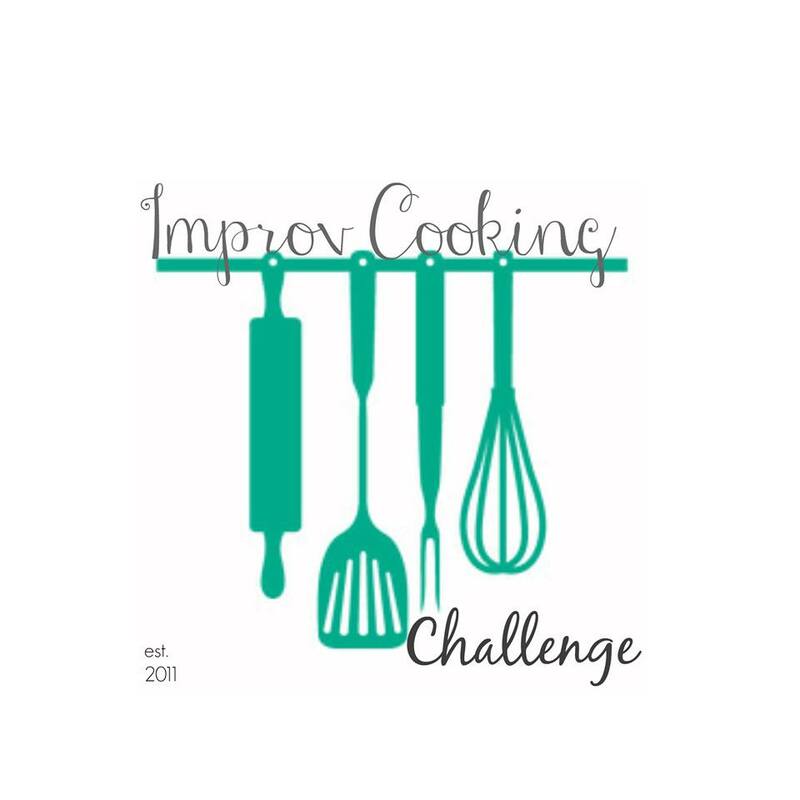 This month’s Improv Cooking Challenge ingredients were garlic and rosemary – and I immediately thought, burgers! I couldn’t find a recipe that I really liked, so I decided to create my own – and these were a fabulous success. There’s double garlic and rosemary here – fresh in the aioli that tops the burgers and dried spices in the burgers themselves. The result is flavorful without being over-powering. And, I made them slider-sized because that makes them perfectly toddler sized – a big win in our house right now! In a heavy pan over low heat, toss together the olive oil and the sliced sweet onion. Cook until caramelized, stirring occasionally, then transfer the onions to a bowl. In a medium bowl, mix together the ground beef, herbs de Provence, garlic powder, onion powder, salt and pepper. Divide into eight equal patties and cook in the pan from the onions until they reach the desired doneness. Meanwhile, whisk together the mayonnaise, garlic and rosemary. Add salt and pepper, to taste. Set aside. Spread 2-3 tsp. of mayonnaise mixture on the bottom of each slider bun. Top with a burger patty, onions and arugula. Serve immediately. I would like to slide a couple of these onto my plate. Those look fabulous and I really like the use of zesty arugula instead of lettuce. ummmmmmm… are those King’s Hawaiian rolls? So ❤ those!